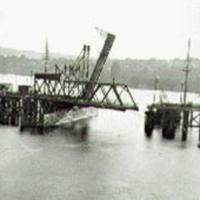 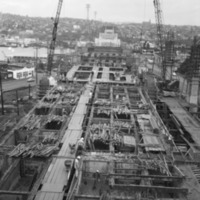 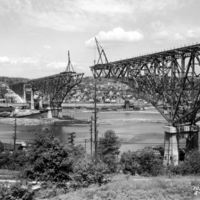 1931 photograph showing the construction of the central truss of the Aurora Bridge. 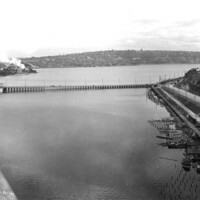 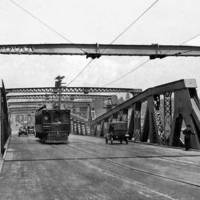 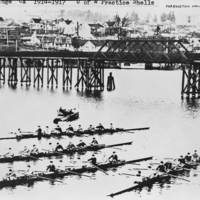 A historic photo showing some of the first traffic (in this case the Seattle-Everett Interurban streetcar) across the Fremont Bridge on its opening day on June 15, 1917. 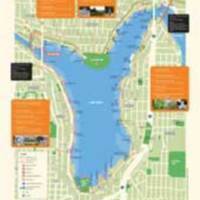 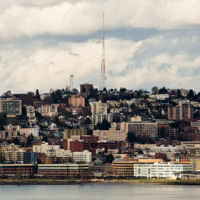 A modern day vista of Queen Anne from the east side.